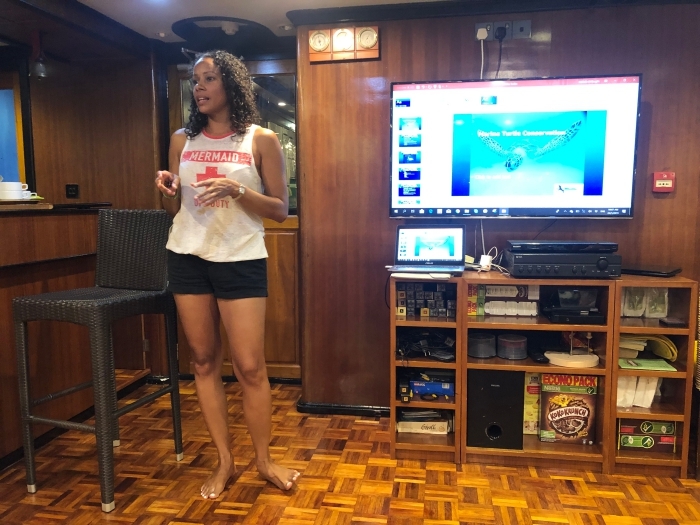 Local liveaboard and dive operator Blue Horizon has hosted a shark and coral reef conservation expedition in partnership with renowned marine biologist Tadzio Bervoets. The programme, part of the company’s commitment to contribute towards community development and environmental sustainability, took place on board Horizon-3 safari vessel. Guests joining the expedition were given information on why single use plastic is so harmful for the ocean. 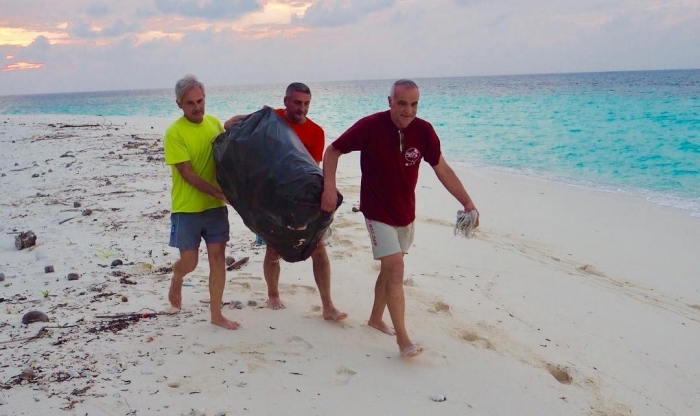 A beach cleanup was conducted on the uninhabited island of Arigattha, which is located in one of the remotest atolls of the Maldives. 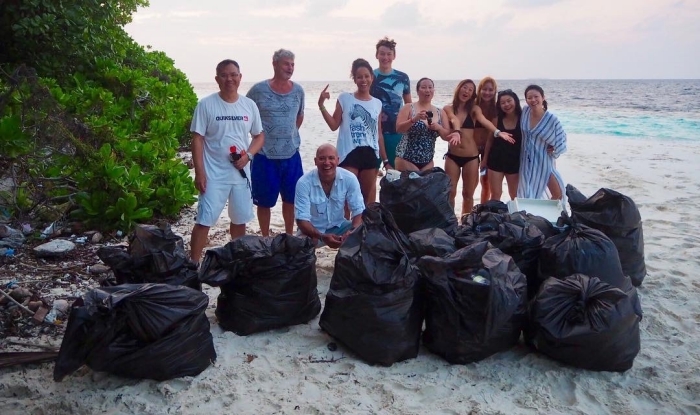 Despite being so remote, guests collected almost 100kg of garbage in just 40 minutes. This goes to show how far reaching and significant the ocean plastic issue is. During a morning dive, guests collected discarded fishing line off the tiny island’s reef. Several sites contained discarded fishing line with hooks attached, some of them floating in the water column and imposing a threat to marine life such as sea turtles. Based on recent statistics, 860 metric tons of garbage — most of it plastic bottles — are disposed in the ocean in the Maldives on a daily basis. Capital Male alone discards 280,000 plastic bottles daily with no recycling facility available. In order to support environmental conservation and to reduce single use plastic, Horizon-3 is equipped with a water filtration system. Blue Horizon offers diving and surfing adventures that are tailored to ensure clients get to fully enjoy and explore the beauty of the Maldives like no other. The company currently operates two motorised yachts, Horizon-2 and Horizon-3, as well as two sailing catamarans (leopard 38), S/Y Sun Kissed and S/Y White Sand. A dive centre is also operated by Blue Horizon on the beautiful island of Thinadhoo in Vaavu atoll. The company focuses on creating networks to support communities in their fight against extreme weather hazards caused by climate change, to support recovery efforts, and to reduce damages caused by climate related disasters.